Fifty years ago today, Aneurin Bevan MP died of cancer at the age of 62. His legacy, of course, is very much alive: as the UK enters a round of what we are warned will be ferocious cuts in government spending, one of the few departments whose budget we are promised will be protected will be Health, and specifically the National Health Service that Bevan brought into being in 1948. For all the changes that have taken place around the margins (some of them changes that Bevan would have hated: he resigned from the cabinet in 1951, along with the young Harold Wilson, over the introduction of prescription charges for dental care and spectacles), the central concept of a National Health Service paid for by taxation and free at the point of delivery remains one of the nation’s political untouchables. British readers will rely on Bevan’s handiwork many times in the course of their lives: this is Bevan’s monument. He was elected MP for Ebbw Vale in 1929 at the age of 31, already with considerable life-experience under his belt: he had left school at 13 to become a miner, been sacked as an agitator at 19 then reinstated following a court case, won a scholarship to the Central Labour College in London, set up the Tredegar “Query Club” as a mutual support organisation for working people, been active in the General Strike and begun his political career by winning a seat on Monmouthshire County Council. Bevan became Minister for Health in the Labour government elected in the 1945 landslide (combining the portfolio with responsibility for housing). The National Health Service he set up owed much to his, and voters’, experiences in the inter-war years. The Beveridge Report had already done much to crystallise voters’ determination that this time the aftermath of war would see the country reshaped (there was a widespread perception that soldiers in the First World War, despite talk of “homes for heroes”, had returned to a country that repaid their sacrifices by leaving them as poor as they had been before signing up). For all the public support for the new scheme, there was resistance within the medical profession to their being effectively nationalised, and Bevan himself spoke of buying off the British Medical Association by “stuffing their mouths with gold”. 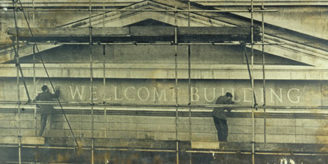 (This famous phrase later became the title of a radio documentary series made in the early 1980s, on the origins of the NHS: taped interviews with various politicians, civil servants and medical personnel, which fed into the documentary, are held in the Archives and Manuscripts department as GC/98. The BMA’s archives are held as SA/BMA.) The National Health Service Act of 1946 finally came into force, after much negotiation, on 5th July 1948 – sixty-two years and one day ago. There had been vigorous debate within the Labour cabinet as to the shape this new service would take. 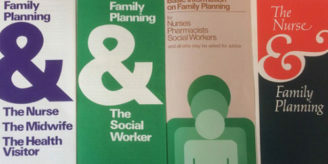 In its final form, one could argue that it was a creature of its time: the country had just emerged from a war in which central government planning had affected life as never before, with all sorts of services that had normally been organised locally (for example, the fire brigades) brought under national control. 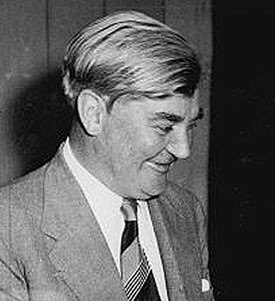 Bevan was keen that the new health service should be universal and consistent in its nature, and the public resistance to anything that smacks of a “postcode lottery” in health provision suggests that this strikes a chord with the electorate. For this to be the case, he felt that funding had to be national, not local, as the latter might mean poorer services in poorer areas. However, this did mean the loss of some local responsiveness, with – for example – former Poor Law infirmaries previously run by local authorities falling under central control. (A browse through the hospitals documented in the joint Wellcome Library / National Archives Hospital Records Database shows how common this was.) Herbert Morrison, another towering figure in that post-war Labour cabinet, had made his career in the London County Council and argued strongly for the retention of a local element, but Bevan’s views won the day. 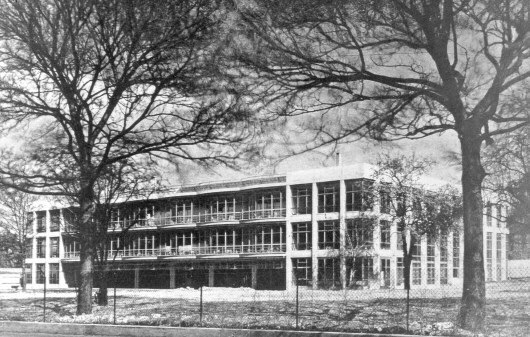 Various local initiatives bit the dust as a result – notably, the Pioneer Health Centre in Peckham, a revolutionary interwar experiment in health promotion whose papers are held in the archives as SA/PHC, did not fit into the new structure (although the Pioneer Health Foundation is still going strong as a health promotion charity and lobbying group). Bevan occurs as an individual in various archive holdings here: as was mentioned last week, the papers of the Nobel Laureate Sir Ernst Chain include correspondence with him both in and out of office, including a 1954 letter from Chain which could fairly be described as fan-mail. In more general terms, the Library is rich in materials for researchers looking to investigate the impact of the NHS, or to write the alternative history of how different assumptions might have led to a different structure. What is beyond debate is the enormous impact on several generations of UK citizens of the National Health Service set up by the man who died fifty years ago. When so many other structures set up by the 1945 government have been dismantled – British Railways, British Steel, the National Coal Board – the NHS remains. It is a measure of Bevan’s achievement in changing the landscape that to the UK electorate anything else would seem unthinkable. 1/ Aneurin Bevan MP, from Wikimedia Commons. 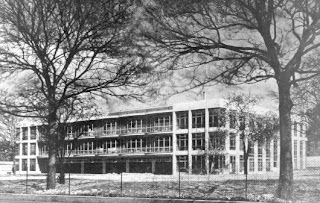 2/ Pioneer Health Centre, Peckham: image copyright belongs to the Pioneer Health Foundation.